Glove holder for Van Guard Trade Van Racking peg board. 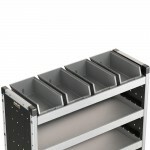 This component is designed for use with Van Guard Trade Van Racking only. 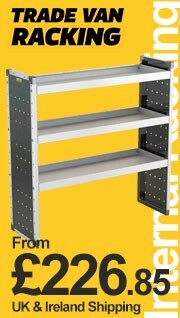 Single 1000mm aluminium straight shelfl for Van Guard Trade Van Racking. 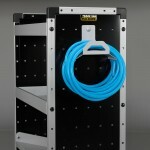 This component is designed for use with Van Guard Trade Van Racking only. 4x Plastic bins and rubber matting for Van Guard Trade Van Racking 1000mm shelf. 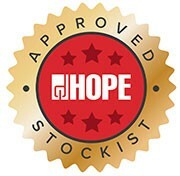 This component is designed for use with Van Guard Trade Van Racking only. Hose holder for Van Guard Trade Van Racking peg board. 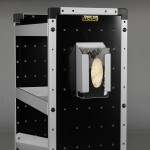 This component is designed for use with Van Guard Trade Van Racking only. 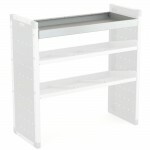 Single 1250mm aluminium straight shelfl for Van Guard Trade Van Racking. 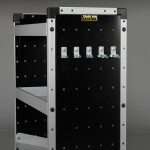 This component is designed for use with Van Guard Trade Van Racking only. 5x Plastic bins and rubber matting for Van Guard Trade Van Racking 1250mm shelf. 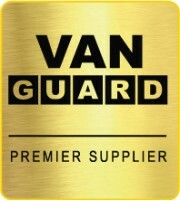 This component is designed for use with Van Guard Trade Van Racking only. 5x 13mm spring clips for Van Guard Trade Van Racking peg board. 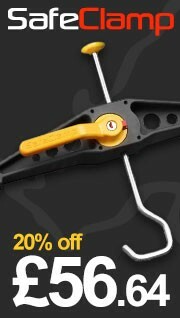 This component is designed for use with Van Guard Trade Van Racking only. Single 750mm aluminium angled shelfl for Van Guard Trade Van Racking. 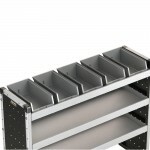 This component is designed for use with Van Guard Trade Van Racking only.